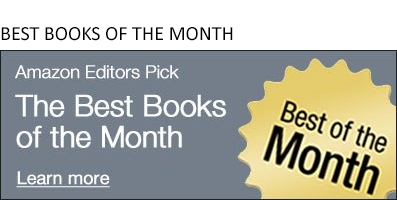 March brings an impressive slate of graphic novels, and below are seven selections that tackle the highbrow and the furrowed brow. And that's the beauty of the medium. 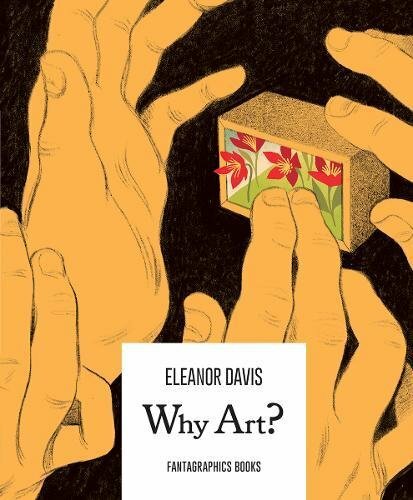 Eisner Award-winner Davis is on a creative streak, and now is exactly the time to celebrate her craft with Why Art? After the brief but illuminating Libby’s Dad and the quietly profound You & a Bike & a Road, Davis turns her gaze to examine both the creation and consumption of art. Beginning with concepts like color, and moving into an exploration of various styles, Davis keeps the journey humorous, but then the text shifts from a guidebook to an actual story. The character Dolores is a professional artist who finds her vision at odds with fan expectations. Illustrations grow in complexity, and Dolores explores greater meaning in her work, while Davis drives the entire piece toward a personal statement for both reader and artist. It’s an enlightening engagement, made even more powerful given its small package. This isn’t meant to be left on a coffee table, rather its purpose is to be shared and discussed. This is the graphic novel debut of New Yorker artist and musician Marcellus Hall. Organized by season, the narrative chronicles an artist’s year-long search for inspiration after a failed romance. The loose vignettes examine life at a micro and macro level in Manhattan, from miscommunications between strangers to shared moments amongst subway riders. 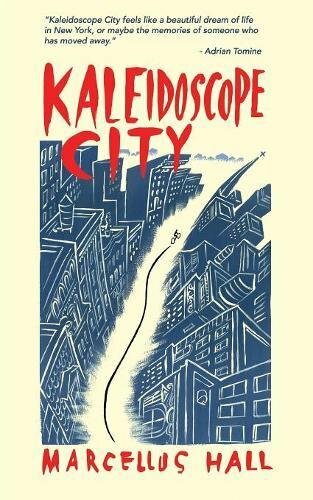 All told in black and white, Kaleidoscope City is a romantic stroll through a city and an experience. 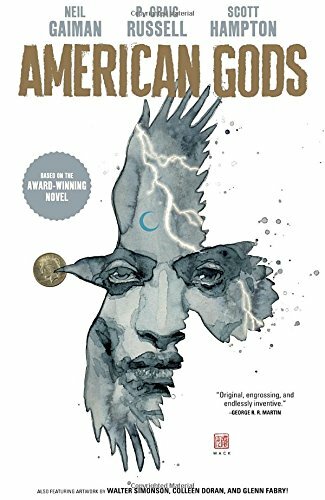 The bestselling novel; the television series; now Neil Gaiman’s American Gods is a graphic novel, courtesy of P. Craig Russell (script and layouts) and Scott Hampton (art). While panels are never short on Gaiman’s prose, this adaptation belongs to the artists. As newly freed prisoner Shadow road-trips with the mysterious benefactor Wednesday, they encounter the American pantheon in battle with legendary deities. Specific chapters feature flashbacks illustrated by Walter Simonson (Vikings! ), Glenn Fabry, and Colleen Doran. The hardcover also includes chapter breaks by Fabry and David Mack and an extended supplemental section. 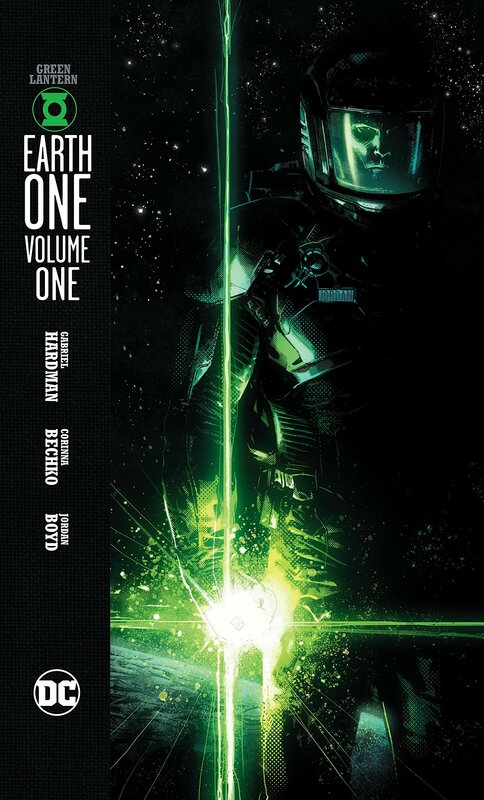 Gabriel Hardman and co-writer Corinna Bechko restart the Green Lantern universe, with hero Hal Jordan now a grizzled asteroid prospector. Die-hard GL fans will be pleased that much of the mythos remains: there are power rings and giant lanterns, all green, a big and pink alien named Kilowog, and evil robot Manhunters. What’s changed, aside from Jordan’s demeanor, is that the rings no longer seek out worthy hosts. Instead, it’s simply up to who finds them first. Hardman’s sci-fi-scape has plenty of grit, and there is an urgent build toward ring-chasing and inevitable explosions. This is the most fun of DC’s Earth One books. Not-so merry mutants band together to save an old ally from one of their most fearsome villains. Writer Charles Soule has two large hurdles to clear: much of the action occurs in a shared mindscape, which isn’t easy to keep grounded, and most of these characters are not team players. 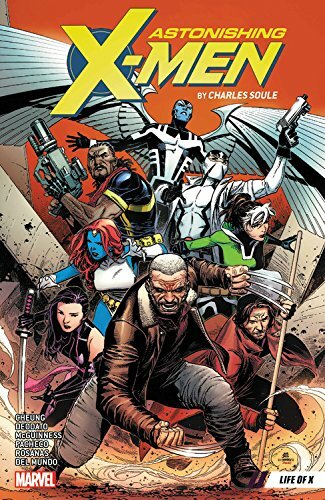 Gambit and Fantomex (two thieves with two different French accents), Archangel (unhinged), Rogue (previously unhinged), Bishop (man out of time), Old Man Logan (man out of time), Psylocke (dissolved romances with at least two of these team members), and Mystique (I need to consult my Marvel Handbook)—these lone wolves do know how to banter, but it makes a nostalgic reader wonder when they stopped being friends. Artists Jim Cheung, Ed McGuinness, Mike Deodato, Mike Del Mundo, and more alternate each chapter. This month’s nostalgic pick is all 1990s excess. 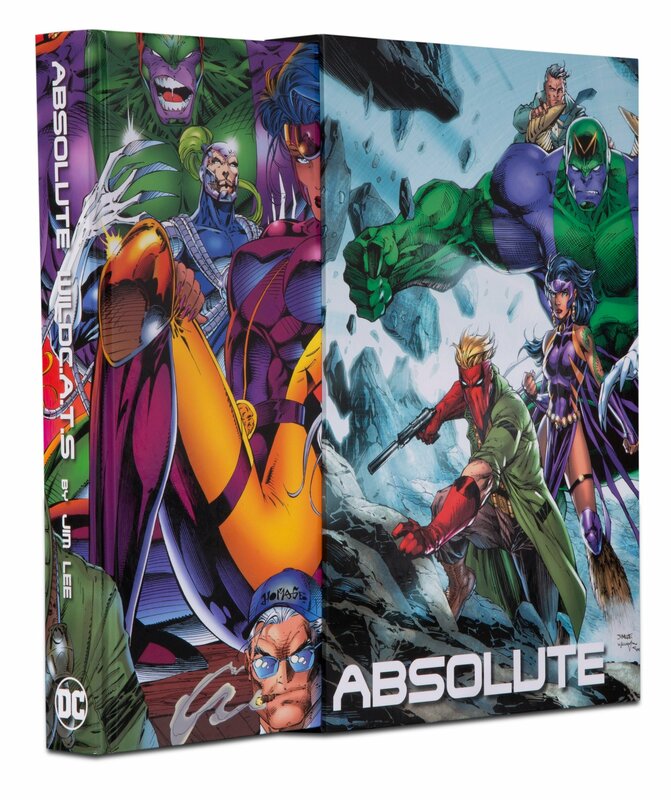 WildC.A.T.s (“Covert Action Teams”) is Jim Lee’s answer to “What does a creator do after he’s proven he can do everything?” After leaving Marvel’s X-Men, Lee created this team for Image, and the results were blockbuster. With the Awesome Dial cranked all the way to the end, Lee ushered in a bombastic era for comics that could not possibly be sustained. This oversized collection is a time capsule, with a new slipcase by Lee, that captures an industry’s last big hurrah. At over 600 pages, there is plenty to pore over, including variant covers, tie-in issues, concept designs, and more. In Star Trek lore, the “Mirror, Mirror” universe is one where good is evil, and evil is easily identified by a goatee. Writers Scott and David Tipton and artist J.K. Woodward offer the first-ever view of this alternate universe as seen through the eyes of the The Next Generation. 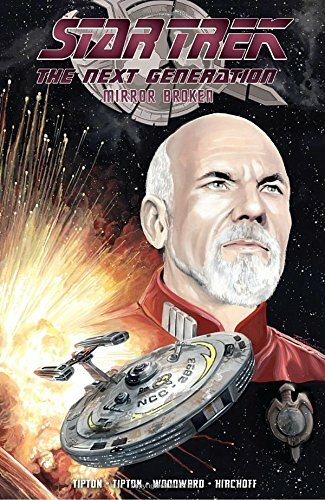 Whereas many ST comics flirt with new stories, this one goes for broke, featuring a “ruthless” Captain Jean-Luc Picard (with goatee! ).